Some people go to the movies to be wowed by the superb acting, heart wrenching and well written story, and overall solid production... THIS has good effects? The acting in this film isn't bad, but it definitely won't win any awards for it. The story has characters Bill Randa (John Goodman) and Houston Brooks (Corey Hawkins) piggybacking on an expedition to an uncharted island to test their "hollow earth" theory. 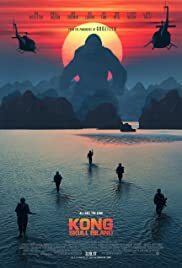 Tom Hiddleston plays a tracker, Brie Larson plays a photographer, and John C. Reilly plays a surprisingly funny WW2 vet marooned on Skull Island. The film takes place in 1973 and loves to remind you with CCR and old technology as if it was a hundred years ago. 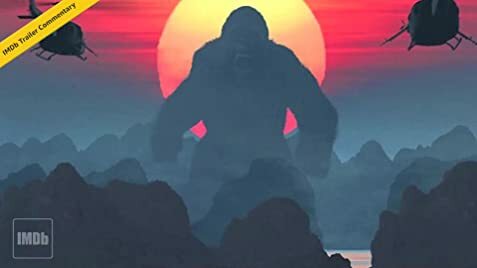 Kong: Skull Island pays homage to Apocalypse Now quite frequently even though it seems a bit excessive at times. Kong looked good, almost all the creatures looked cool and all the fights between them looked really good, especially in IMAX 3D. Some of the green screen effects, like backgrounds behind characters, were distractingly bad. Ultimately, you get some great stuff out of all the effects if you're not looking too closely. The characters are more hollow than the earth (according to the film's characters themselves), the story is mediocre, but the effects reign king in this film adaptation. My suggestion: See it! it's a blockbuster meant to fill seats, not win awards. Take it for what it is. Seen at an advanced IMAX 3D screening in Minneapolis.